Recently a select few were amongst the lucky ones to see two chart-topping acts perform a semi-intimate set at the barker hanger in Santa Monica, California. Young the Giant and Alabama Shakes brought down the house in the perfect way at a great venue! Not only is this a prime destination for just about any event, it also provided the perfect ambiance. How can you go wrong with the beautiful scenery of jet-setting planes all around you?! Among entreating the venue guests were treated to drinks by: Alibi Vodka, Heineken, and Fiji Water while munching on snacks by Pop Chips and Kind Bars. DJ Ruckus kicked off the event by performing an electronic high-energy set from 7-8 to get everyone amped up for Young the Giant to hit the stage. Young the Giant went on promptly at 8:20 and played a memorable set to a packed house. Seeing this band never gets old! Playing older tunes as well as new jams but still managed to rock out just as hard, which is exactly how we remember them. We're excited to be playing in LA, exclaimed Sameer Gadhia-lead singer of Young the Giant. This feels like home to us." YTG is a band from Irvine, California that is widely known for their debut self-titled album which contained singles: "My Body", "Apartment", and "Cough Syrup". Now, the band has recently released Mind Over Matter, which reveals a new, softer, real side of the band. Perfectly tuned to the embodiment of Southern California this album showcases the bands versatility as well as their progress as a band going from indie pop-ish rock to harder guitar and more drum stints in their sophomore album. 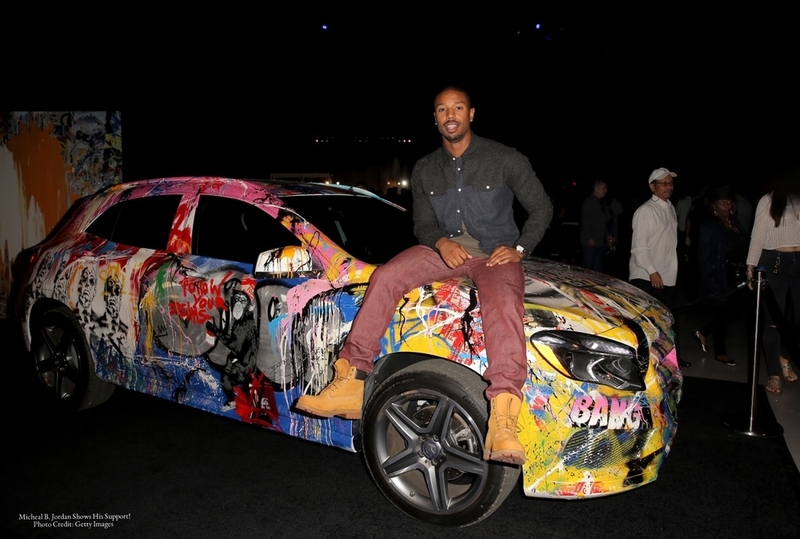 In between sets guests were able to see Mr. Brainwash himself splash paint on a Mercedes Benz. Needless to say, this tour knows how to do it right, and had plenty of incentives. Following YTG was Alabama Shakes, a fiery, raspy, gritty, and unapologetically raw blue-grass feel band. 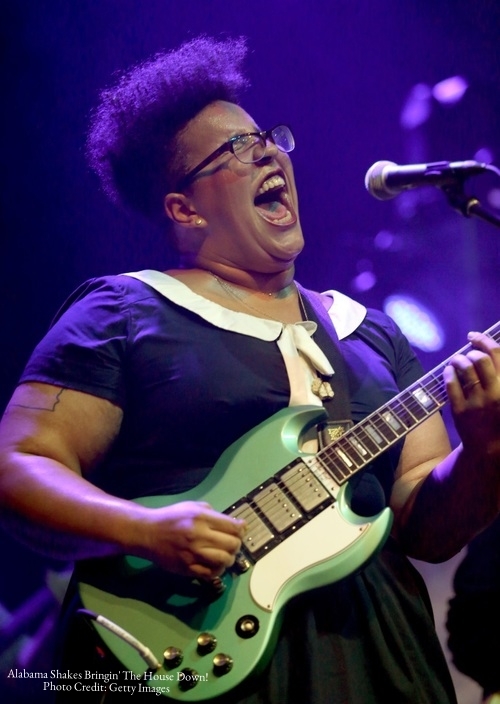 Lead singer, Brittany Howard, has a powerful set of pipes on her! The crowd quickly calmed over and went absolutely nuts the second she had anything to say. Favorites such as: "Hold On", "I Found You", "Be Alright", put the crowd in a bit of a frenzy. How Alabama Shakes put a crowd to silence after hours upon hours of open bar is beyond me, but something that only Brittany Howard could do. “It’s about to get crazy as f--k in here,” she said. “I know that wasn’t very charming, I’m just trying to be myself.” Alabama Shakes was remarkable, and definitely one for the books! The Mercedes Benz Evolution Tour is an intimate concert series blending music, art, and technology over the span of 9 cities, the last stop of the tour will be in New Orleans on November 23rd.